Acute liver failure (ALF), also known as fulminant liver failure is an uncommon condition which occurs when the liver suddenly ceases to function in an otherwise healthy person. This most severe type of liver failure is life-threatening and develops in a matter of days. ALF affects about 2000–2800 persons annually (3.5 deaths per million population) and accounts for 5-6% of liver transplants in the United States. The most important aspect in individuals with acute liver failure is to identify the cause because prognosis is dependent on the origin or cause. Acetaminophen poisoning (over-the-counter pain reliever) – Taking a very large dose of acetaminophen all at once or a smaller dose over a long period of time, is the leading cause of ALF in the United States, especially in people with chronic liver disease. Prescription drugs – Anticonvulsants, antibiotics, nonsteroidal anti-inflammatory drugs and drugs used to treat tuberculosis to name a few. Herbal supplements – Pennyroyal, ephedra, skullcap and kava are some of the herbal drugs and supplements that have been linked to ALF. Some fat burners used to increase metabolism have also been a cause. Viral hepatitis and other viruses – Hepatitis A, B, C (rarely) D and E with Hepatitis B accounting for the majority of cases. ALF actually occurs in less than 5% of hepatitis viral infections. Other viruses which may cause it include Epstein-Barr virus, Yellow Fever and cytomegalovirus (virus in the herpes family). Shock to the liver – Hemorrhage, sepsis (overwhelming infection), heatstroke, heart failure and severe dehydration. Toxins – Poisonous mushrooms such as Amanita phalloides, carbon tetrachloride (a manufactured chemical used in cleaning fluids, pesticides and spot removers), chloroform and rat poisons. Vascular diseases – Blockages in the veins of the liver such as portal vein thrombosis (a blood clot or narrowing of the portal vein, which brings blood to the liver from the intestines), Budd-Chiari syndrome (blockage of the vein that carries blood away from the liver), and veno-oclusive disease (blockage of the very small – microscopic -veins in the liver). Cancer – Liver cancer or cancer that begins somewhere else in the body and then spreads to the liver. Unknown – Many cases have no apparent cause. People that take an extremely large dose of acetaminophen at one time or a smaller dose over a period of a few days. Failure to follow dosage instructions for prescription medications and over-the-counter pain relievers and herbal medicines. Failure to get vaccinated for Hepatitis A and B. Failure to exercise caution when handling needles or cleaning up bodily fluids or blood. Failure to inform one’s doctor of all prescription drugs, herbal remedies and over-the-counter medications that one is taking to prevent dangerous interactions. Consumption of excessive amounts of alcohol. Physical assessment by a healthcare professional, along with blood tests to determine liver function will be performed. Also, when the liver fails, blood doesn’t clot as quickly as it should, therefore a prothrombin time test may be performed to measure how quickly the blood clots. In cases where the patient may be incapacitated, family members and close friends will need to assist medical personnel in providing patient history. Finally, examination of liver tissue (biopsy) may also be performed to determine why the liver is failing. Acute liver failure from certain causes demands immediate and specific treatment. It is also critical to identify those patients who will be candidates for liver transplantation. Medications to reverse poisoning such as from an overdose of acetaminophen or mushrooms. Medications to relieve fluid buildup in the brain which causes pressure on the brain. Medications to clear infections after blood and urine tests show positive results of infection. Medications to prevent severe bleeding will be administered as bleeding ulcers in the gastrointestinal tract are often common. In the case where liver failure can’t be reversed, a liver transplant is the only treatment. The failed liver is removed and replaced with a new, healthy liver from a donor. Kidney failure – often occurs following liver failure, especially as a result of acetaminophen poisoning which damages both the liver and the kidneys. Bleeding disorders – due to the body’s inability to clot blood properly. Infections – respiratory and urinary tract infections are common as well as infections in the blood. Cerebral edema (excessive fluid in the brain) – leading to irreversible brain damage and death. Coma – Mental confusion, difficulty concentrating and disorientation (hepatic encephalopathy) can progress to coma if liver function does not return. By following dosage directions on all prescription, herbal and over-the-counter medications (including acetaminophen), avoiding risky behavior, exercising caution when using any type of chemicals and living a healthy lifestyle, acute liver failure can be prevented. If sudden jaundice, tenderness in the upper abdomen or any unusual changes in mental state, personality or behavior occurs, it is imperative that one seeks medical attention right away. Palmer, M.D., Melissa. 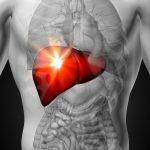 Dr. Melissa Palmer’s Guide to Hepatitis & Liver Disease. New York: Avery Trade, 2004.